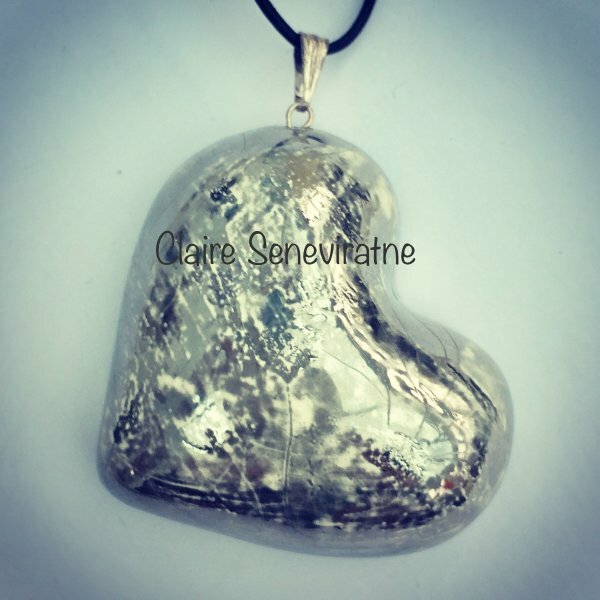 Claire Seneviratne - Ceramic Artist: Large ceramic silver heart pendant. Large ceramic silver heart pendant. Large ceramic silver heart pendant. This heart is made from porcelain and has a platinum lustre fired onto it. I have added a texture to the overall finish.